Discover this tiny Mediterranean paradise, awash with white sandy beaches and crystal-clear water, where you'll enjoy the freedom and bright light radiated by this Balearic island. 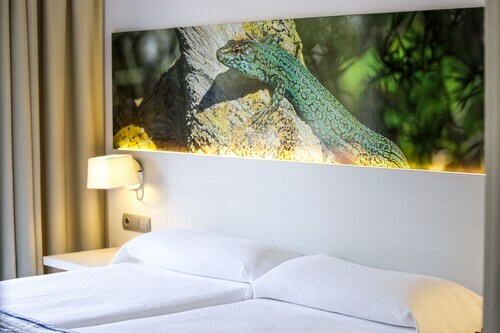 Take advantage of the exclusive holiday deals to Formentera to take it easy on the smallest and best conserved island in the Balearic archipelago. You'll fall in love with the fascinating natural setting and feel how the stresses of daily life and seem like a distant memory, a far cry from crowded tourist resorts. Get a cheap holiday deal to Formentera to discover this island paradise with white sandy coastline and transparent waters that will transport you to the Caribbean. Hire a bicycle and pedal around the island, discovering its numerous coves and beaches, such as Cala Saona, considered Formentera's best beach due to its turquoise waters or Ses Illetes, located in the Salinas natural park. Don't go home without exploring the highest points on the island, where you'll find La Mola lighthouse, the oldest on the island, or Cap de Barbaria lighthousewhere you will be captivated by unforgettable sunsets. Formentera is the perfect destination for lovers of water sports like sailing, windsurfing, kite surfing and scuba diving. Its transparent, warm water makes diving one of the top activities on the island, so you won't want to miss holiday deals to Formentera to get the chance to dive. In fact, there is no better way to discover the island's fascinating marine life, where the focal point are its Posidonia sea grass prairies, declared World Heritage. Afterwards, recharge with the island's excellent cuisine, where salt-preserved fish is one of the top dishes, and stroll through its markets offering local arts and crafts, which are an emblem of the island. Sounds amazing, doesn't it? Just choose Formentera as a destination. Bear in mind the island doesn't have an airport so it can only be accessed by boat from Ibiza port. Once there, you can easily get cheap holidays to Formentera to travel by boat and enjoy an authentic day in paradise. Don't miss the chance! Spain's Balearic Islands are some of the best locations in the world for a beach holiday. If you like beach holidays in Formentera then you're sure to love our all inclusive holidays to Formentera, cheap beach holidays to Mencorca or our Ibiza beach holidays. Book with Expedia and find out why for yourself. Visit a beautiful beach in the Balearic Islands and enjoy a day swimming in blue-green waters and relaxing on white sand. Enjoy a day at the beach at this small and beautiful bay with clear blue waters, picturesque rocks and fine sand. Relax at one of the least crowded beaches in Formentera and discover a quiet spot where you can enjoy the day without many tourists around. Those with a taste for adventure will adore this secluded beach on the eastern end of Formentera, accessible only by rock staircase. 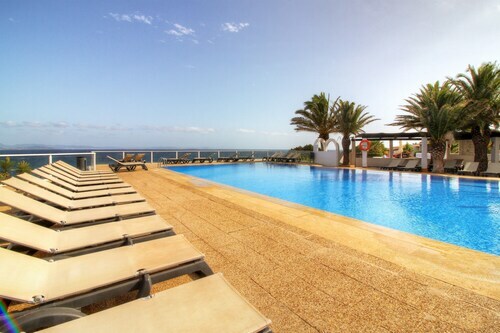 Nestled on the beach, this Formentera hotel is within 2 mi (3 km) of Ses Platgetes Beach, Racó de sa Pujada and Caló des Mort. Es Ram and La Mola Market are also within 3 miles (5 km). 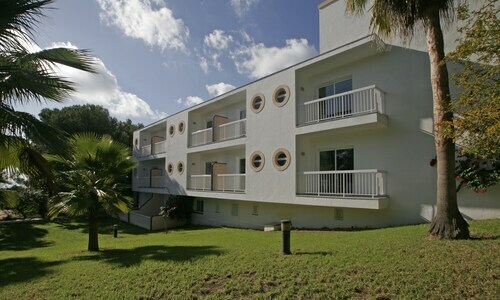 Located in Es Pujols, this hotel is within 1 mi (2 km) of Illa de ses Parres and Es Pujols Beach. Sa Roqueta Beach and Racó des Forat are also within 2 miles (3 km). Nestled on the beach, this Formentera resort is within 2 mi (3 km) of Ses Platgetes Beach, Racó de sa Pujada and Caló des Mort. Es Ram and La Mola Market are also within 3 miles (5 km). 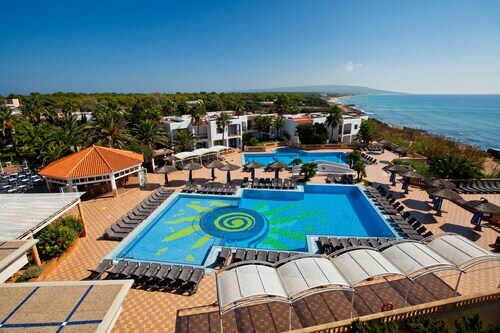 Nestled on the beach, this Formentera hotel is within 3 mi (5 km) of Cala en Baster, es Valencians and Racó des Forat. Ethnological Museum of Formentera is 3.1 mi (4.9 km) away. 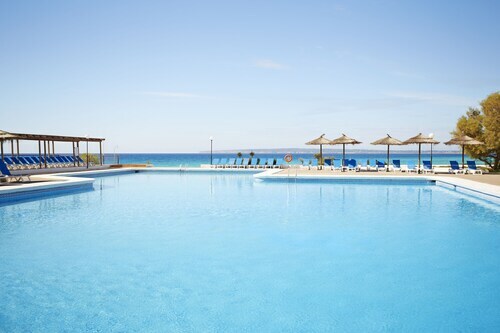 This family-friendly Formentera hotel is located by the sea, within 2 mi (3 km) of Racó des Forat and Es Pujols Beach. Cala en Baster and Illa de ses Parres are also within 3 miles (5 km). Situated near the beach, this hostal is 2 mi (3.2 km) from Cala en Baster and 2.9 mi (4.7 km) from Es Pujols Beach. Es Valencians and Racó des Forat are also within 3 miles (5 km). Situated in Formentera, this hotel is within 1 mi (2 km) of Sa Roqueta Beach and Es Pujols Beach. Ses Illetes Beach is 2.2 mi (3.6 km) away. Situated by the sea, this hostal is 1.9 mi (3 km) from Sant Francesc Xavier Church and 3 mi (4.8 km) from Es Pujols Beach. Ethnological Museum of Formentera and Racó des Vell Marí are also within 3 miles (5 km).